"It will take you a million light years from home... but will it bring you back?" So was the question posed by the blockbusting film Stargate - the story of how an ancient Egyptian portal to another world was unearthed and then used to travel across the galaxy. Its answer can be found in the hugely successful television series it subsequently spawned. 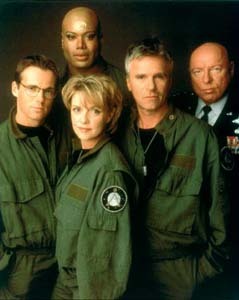 Stargate SG-1 saw Colonel Jack O'Neill (Richard Dean Anderson), Dr Daniel Jackson (Michael Shanks), Captain Samantha Carter (Amanda Tapping) and alien warrior Teal'c (Christopher Judge) access an even bigger network of portals that would regularly deposit them on worlds beyond imagination. A cult favourite across the world, the series - now in it sixth season, recently renewed for a seventh season and with a new feature film in preparation - has thrilled television audiences and also been a huge hit on VHS and DVD. 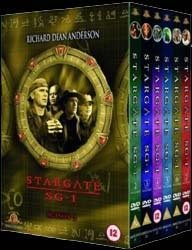 For the first time, MGM are releasing season by season box-sets of Stargate SG-1 and the entire second season of the show has been collected together for the first time (available from 30 December 2002 for £59.99). The second season of the show proved beyond all doubt that Stargate SG-1 had found a unique niche within (and beyond) the cult genre. While many actions shows seemed to appeal to mainly a young, male demographic, here's a show that has a massive fan-base of men and women of all ages and nationalities, with stories that relied on characters rather than mere special effects. Robert Cooper, co-executive producer/writer on the show, said: "When you see the typical Star Wars audience you think young boys and kids... and there is still the older audience that were big fans in the 1970s. But the 50-70 year old women are also watching Stargate, not the typical audience you would associate with a science-fiction show or an action show! That's a testament to our cast and to the characters and that we try to mix up the stories so they aren't always shoot-em-ups and silly B movies. "We have a great time doing them, but we also try to do some stuff that's a little more issue-orientated and which has moral dilemmas in them - something that involves important decisions to get out of a problem rather than 'reversing the polarity on the tachyon emitter'. We do the technical babble, but in Stargate, the technobabble is not the solution, it's the means to put the team off in a situation where they have to make a moral decision. Making that correct moral decision gets you in and out of the problem. Technobabble is, in many ways, a means to and end, rather than the end." 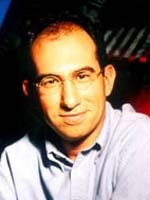 The second season of the show not only builds on the popularity of the first, but also introduces some recurring characters and themes that will become important as the show progresses. For instance, the SG1 team and Earth strikes up cautious alliances with the likes of the guerrilla fighters known as the Tok'ra and the seemingly diminutive but cosmically-powerful Asgard (aliens that may have inspired all those 'little grey men' sightings!) But Apophis and the forces of the Goa'uld return to threaten not only SG-1 but the planet Earth as well and on a more subtle level Stargate Command begins to realise the implications in stepping out into a bigger universe that might not appreciate a visit! 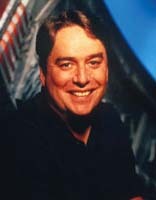 Brad Wright, the shows co-executive producer, said: "What we realised in Season Two was that every time we created a new story it was a good idea to leave something unresolved or help design some possibilities to do another story. The introduction of the Tok'ra race was a good example. So was the episode Thor's Chariot, a sequel to the first season's Thor's Hammer. We created more and more threads that we could build upon. "Also, making the (time-travel) episode 1969 was fun. We all enjoyed that so much and I remember the mood on the set had never been better. That's when we realised that we were actually having real fun making the show!" "
Richard Dean Anderson, who stars and produces the series, added: "That's one of the prerequisites to work on this set, is that you've gotta have a sense of humour. That's my only demand... that you come in with a clear sense of a willingness to communicate if you have problems, but also with an ability to laugh at what we're doing because no one is going to die at our hands. No grand revelations are going to be discovered at our hands, so let's have fun while we're doing our jobs!" 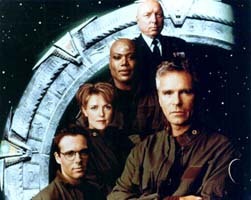 Trapped on a Goa'uld ship at the end of last season, can SG-1 not only escape but also halt the invasion against Earth. Even if they can, will they have to leave one of their number behind? During an off-world mission, Carter becomes the host of a Goa'uld symbiote called Jolinar. But when the deception is discovered, the team learn of a possibly friendlier faction of the enemy known as The Tok'ra. Things may not quite be what they seem when SG-1 begin to suspect that a virtual reality game may be the source of their strange visions of the past? Is this game-over or merely 'reset' for the team? Daniel's main reason for staying with SG-1 has been the mission to rescue his beloved wife Sha'are, but when he returns to Abydos (as he promised he would) and it is revealed that she is now carrying Apophis' child, what will he do? And back on Earth, O'Neill has to deal with a reporter who seems to know all about the secret Stargate project. Sam has visions of what she assumes to be the memories of Jolinar. But if they are true the Tok'ra race may be under attack? Can, will or should the SG-1 team help them and can they also aid Sam's dying father? Another SG team run towards an off-world Stargate and their only way home. Back at Stargate Command events take a drastic turn for the worse as the wormhole connecting them to the SG team becomes affected by a Black Hole, warping time itself. After looking into an alien machine, O'Neill suddenly begins to talk in an ancient language. Can his boosted knowledge be harnessed before it kills him or can the Asgard help once more? Daniel Jackson isn't feeling like himself.and after touching an alien device it's clear why! An ancient inventor Machello decides a leisurely holiday using Daniel's body is just what he needs after a life of torment. A Gate malfunction sends the team back to the year that man first stepped on the moon and when America was in the grip of the Summer of Love. While dealing with the serious problem of returning to their own time, the team also find time to blend in with the hippy population. You may never look at the solemn Teal'c in the same way again!